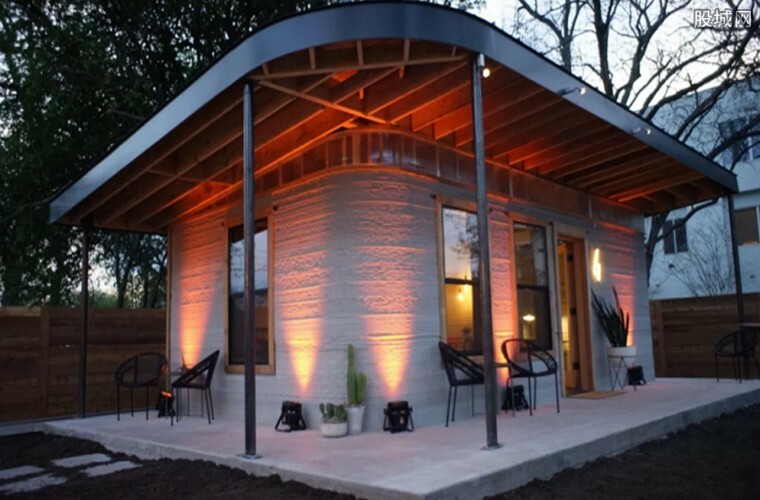 An American company says it has completed the first permitted 3D printed home in the United States. The home was shown to reporters and visitors at the South by Southwest technology conference and music festival. The event took place earlier this month in Austin, Texas. Building company ICON has developed large 3D printers that build homes with mortar, a hard and strong material. ICON uses robotics, computer software programs and advanced materials to make houses. Jason Ballard is the company's co-founder. "So I'm standing in front of the first permitted 3D-printed home in America. This house was actually printed in high winds, blowing dust and rain." It is important for the printing process to operate in extreme conditions, such as weather disasters. The goal is to print homes in developing countries. ICON's 3-D printer is made of lightweight aluminum, and measures 4.5-meters tall by 9 meters wide. The homes are printed on-site, so the equipment has to be light enough to move from one property to the next. Ballard imagines that someday, many 3-D printers will operate around the world to make homes. "It's actually a lot more simple to build a printer than it is to build a house," he said. "We ran this printer at about a quarter speed to print this house, and we were able to complete the house in less than 48 hours of print time." Ballard says that at full speed, the printing process could take as little as 12 hours. ICON has teamed up with a not-for-profit group called New Story. Together, they are attempting to help provide a quick, cheap housing solution for the millions of people who need it most. Brett Hagler is founder and chief executive officer of New Story. "The magnitude of the problem that we face is so big, it's about a billion people that don't have one of life's most basic human needs, and that's safe shelter." Hagler says his organization already works on housing needs with poor families in different areas. But he says that to really make a difference, the program will need to greatly expand. He added that since the 3D printing process is so much faster than traditional homebuilding, a whole community could be built in just a few months. "That has to come through significantly decreasing cost, increasing speed, while doing that without sacrificing quality." Hagler notes that a 3D printed home costs a lot less than a traditional home. "Traditional style, one of New Story's homes, is about $6,500 per home, right. We believe over time, we can get the new home below $4,000." The goal is to bring the new building technology to the world's poorest and underserved first. New Story is currently working with local nonprofits, governments and families to help raise money. It plans to start 3D printing homes in El Salvador later this year. The marriage had lasted for less than two years. From what I could gather, he was trying to raise money by organising festivals. The houses are all built in the traditional style. He's too old to come through a fall like that. 5.The event took place earlier this month in Austin, Texas. Another dust-up took place in the teahouse. We have incontrovertible evidence of what took place. 6.But he says that to really make a difference, the program will need to greatly expand. Whatever you choose to do, it will make a difference. We want to engage with people and get them to feel that they can actually make a difference.